This Super Jumbo Playing Card Deck is absolutely massive! Each Super-Sized Card Deck features plastic-coated paper playing cards that measure a whopping 10-1/4" wide x 14-1/2" high. 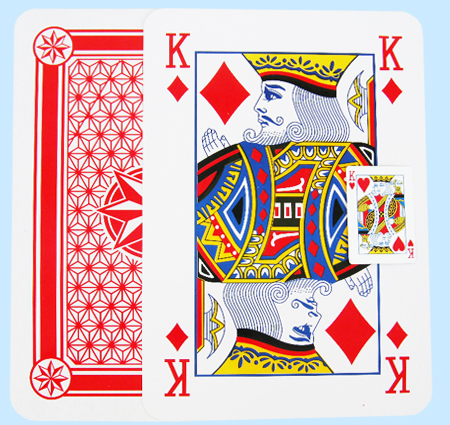 For additional information or wholesale pricing on Super Jumbo Playing Cards, please call 1-800-233-0828.